Why solve your hypertension with tasty treats like chocolate? Why go natural and not rely on medication to solve your problem? Yes, medical researchers are showing us how to cure hypertension without prescription medications -- which are not good for your wallet and even worse for your libido! 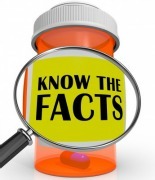 These meds tend only to be effective in 50% of the people who take them, and they have serious long-term side effects. dizziness, diabetes and, ironically, heart attacks. Medications can treat your high blood pressure, but they will not solve the underlying causes of the problem, leaving you still at risk! Best Foods that Lower Blood Pressure? If you drink a daily dose of beet juice you can significantly reduce your blood pressure, say researchers. A couple of glasses of beet juice will lower blood pressure by 10 points and give you 15% more stamina on the treadmill! 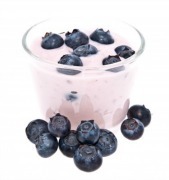 The DASH diet -- with proven foods that lower blood pressure. You already know about eating one or two bananas a day for blood sugar and lowering your high blood pressure! Daily eat an ounce of dark chocolate for enjoyment as well as for beating hypertension. Cacao acts like aspirin a day, without the dangers, and IMPROVES your blood vessel health! 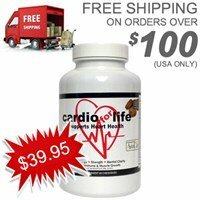 Get results with Dr. Harry's proven CARDIO formula. Researchers at Barts and The London School of Medicine found that if you drink just 500ml, or 16 OZ of beet juice a day, you can greatly reduce blood pressure! The study, published in the American Heart Association journal Hypertension, can help people beat the causes of coronary heart disease. Professor Ahluwalia and her team found that in healthy volunteers blood pressure was lowered just 1 hour after drinking beet juice, and that it had the most effect three to four hours after drinking it. There were benefits from drinking beet juice for at least 24 hours. “Drinking beetroot juice, or eating other nitrate-rich vegetables, is a simple way to maintain a healthy cardiovascular system, and win the battle against high blood pressure." So get out your juicer, or buy one, and see how this can work for you. Add some carrots and other veggies or apples to make it a tasty juice, and let us know how it worked for you! Flavanol-rich cocoa is VERY beneficial for your heart! 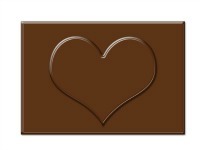 Chocolate fights the causes of coronary heart disease, according to study published in the Journal of Hypertension. Researchers at Harvard Medical School and the Brigham and Women's Hospital in Boston found that drinking a flavanol-rich cocoa drink helped improve people's capillaries and artieries, especially for older people. What's in chocolate that helps? Flavanols are what's in cocoa that's credited with the benefits. Cocao helped improve both the blood flow and a decrease the chances of getting damaging clots. In the study, they had 15 healthy people UNDER the age of 50, and 19 healthy people OVER 50 years drink drank a pre-made cocao drink rich in flavenols every day for four days but less than a week. When they tested people they found very noticeable improvements in their circulation and how their blood vessels worked -- and how flexible they were, which helps lower blood pressure. This was true both for older and younger people! Older people usually "deteriorate" so that they get high blood pressure because their blood vessels are not flexible. This study showed that it is possible for both younger and older people to IMPROVE how flexible their blood vessel are and how well they function. Drinking a flavanol-rich cocoa drink can certainly do this for you! Is this a hardship or easy to do? Best to get high quality dark chocolate cocoa powder that's highest in flavenols. Just like the study using beet juice, researchers credited cocoa flavanols to be able to influence the body's production of nitric oxide, a key regulator of blood vessel tone. If you prefer, you can get results with a best-selling SAFE, heart health supplement. Eating a small, 1.6-ounce bar of dark chocolate every day is good for you, according to Mary Engler, PhD, RN, of the University of California, San Francisco, and colleagues. Engler's team divided 21 healthy adults into two groups. One group got a dark chocolate bar with high-cocoa content, loaded with something called epicatechin. Flavoniods keep cholesterol from gathering in blood vessels, reduce the risk of blood clots, and slow down the immune responses that lead to clogged arteries. The second group got dark chocolate bars with the flavoniods taken out. All subjects underwent high-tech evaluation of how well the blood vessels dilate and relax -- an indictor of healthy blood vessel function. Blood vessel stiffness indicates diseased vessels and possible atherosclerosis. Those who got the full-flavonoid dark chocolate did significantly better. Why? Blood tests showed that high levels of epicatechin were coursing through their arteries. "This is the longest clinical trial to date to show improvement in blood vessel function from consuming flavonoid-rich dark chocolate daily over an extended period of time, increasing blood flow in the artery." Engler said in a news release. Better blood flow is good for preventing a heart attack and stroke and dementia! Dark chocolate worked much better! TWO tablespoonfuls of dark chocolate a day can be as good for you as an aspirin, a study has found. The sweet treat has a similar biochemical effect to aspirin and can reduce the likelihood of blood clotting. Researchers at the Johns Hopkins University School of Medicine and Bloomberg School of Public Health made the discovery when 139 people were disqualified from a larger study looking at the effects of aspirin on blood platelets. These "offenders" were told to refrain from indulging in a number of foods known to affect platelet activity - including chocolate. But they could not break their habit. Professor Diane Becker said: "What these chocolate 'offenders' taught us is that the chemical in cocoa beans has a biochemical effect similar to aspirin in reducing platelet clumping, which can be fatal if a clot forms and blocks a blood vessel, causing a heart attack." Researchers have known for almost two decades that dark chocolate can lower blood pressure and has other beneficial effects on blood flow. These findings, presented at the American Heart Association's annual Scientific Sessions in Chicago, identified the effect of normal, everyday doses of chocolate found in ordinary foods. Eating a little bit of chocolate or having a drink of hot cocoa as part of a regular diet makes sense for preventing the need for heart medications with undesirable side effects. The DASH dies has been shown by researcher to not only lower high blood pressure, but also to prevent heart attacks. What is the DASH diet, or Dietary Approaches to Stop Hypertension? You guessed it – eat more fruits, more veggies, more vegetable-based protein e.g. nuts, broccoli, along with more whole grains and low-fat milk and yogurt than is normally eaten in the typical American diet. US researchers followed 88,000 healthy women for almost 25 years and concluded that a diet for lowering blood pressure can save people from heart attack and stroke. 18 % less likely to have a stroke. Lonely heart or a broken heart leads to high blood pressure? Research is showing that lonely people have a greater risk of heart disease, according to a study published in the journal Psychosomatic Medicine. Researchers gave 99 male and female Ohio State University undergraduates a questionnaire to determine whether they were lonely. The researchers then monitored their blood pressure, heart rate and cardiac output while they did stressful tasks. The tasks included math problems, and writing and giving a speech to defend themselves against a false accusation of stealing. Blood pressure rose for both the lonely and non-lonely students during both tests. The reason for it was increased cardiac output, or the amount of blood the heart is pumping, considered a healthy response to dealing with stressful situations. However, the lonely students had chronically higher levels of what's known as vascular resistance and lower levels of cardiac output during rest, before and after the tests. To get at the longer-term implications of loneliness, the researchers did a second test using 25 men and women aged 53 to 78 who were generally healthy for their age. Study co-author Louise Hawkley, a research scientist at the Institute for Mind and Biology at the University of Chicago, also gave this group the loneliness questionnaire. The researchers found blood pressure was linked to age in the lonely group. The people in the oldest half of the lonely group had blood pressure that was significantly higher than the people in the younger half of the lonely group. This finding is consistent with the idea that, through time, vascular resistance in the lonely can lead to hypertension. In the non-lonely group, blood pressure did not show the same correlation to age and was, in fact, stable across the ages. Hopefully our research about foods for a high blood pressure diet will help you make changes. 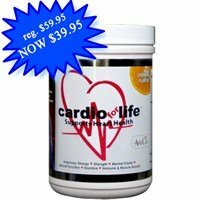 For extra results, you can add Dr. Harry's supplement with L arginine that's FDA approved against heart disease! 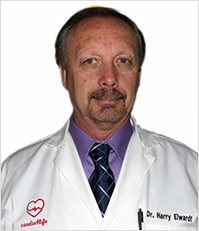 See articles and VIDEOS by Dr. Harry explaining how this l arginine supplement can help you with your hypertension, cholesterol and stroke prevention. Low salt diet for hypertension? To beat hypertension: eat good chocolate, drink beet juice, and try the DASH high blood pressure diet! But don't go overboard in cutting out salt. A low salt diet for hypertension should not go too low. Your body needs minerals, and will balance the sodium and potassium! If you have been diagnosed with hypertension, sure, watch those deli meats and salty snacks. But best to add dark chocolate high blood pressure help. Then add a natural blood pressure supplement until your blood pressure is back to NORMAL! How Can High Blood Pressure Can Make You Fat? High Blood Pressure the BIGGEST Cause of Strokes Worldwide? A Salad a Day Keeps Dementia Away! Which fruits veggies and whole grains lower cholesterol best? Parkinson Cure: Parkinson’s NOT a Disease?